I saw some very upsetting and distressing pictures of what Pollution is doing to our environment, to animals and to our nature. Those pictures had a such a tormenting impact on me, that dragged me into a swap of guilt, because each one of us: intensionally or unintentionally have been a part of this disaster! Guess, we: the human beings are the most dangerous species that has ever existed on the face of this planet! And I accept this self-description without any qualifications. I feel sorry for being a part of this shameless and brazen Species. There were horrifying pictures of poor animals trapped in plastic trash, animals killed by excessive plastic ingestion, a turtle trapped in plastic waste and therefore unable to grow, animals and birds in oil spills, landscapes full of trash in Mexico, India and Bangladesh, Tourists posing against fake Hong kong skylines, A child drinking dirty and filthy water near a stream in Fuyuan county (China), thousands of dead fishes in a lake in Wuhan, a seal, a stork and a tortoise trapped badly in plastic and there were so many painful pictures. Just type "Pollution Animals" in Google and see the painful disaster that we have been the primary reason of. I have posted few of these pictures here as well. All these pictures depict only one thing: our insensitivity towards our planet and its habitants. We have contaminated our natural environment to an irreversible extent and in a very short span of time. I felt horrible after witnessing the agony of poor animals. They are suffering so badly, even when they have nothing to do with all this. They are paying a painful price for something they have, absolutely no connection with. Our deeds have caused so much harm to this planet and its habitants that its irreparable now. We have not just ill-treated, but have completely exploited our planet! Guess, if there is a supreme power somewhere, he/she would have been regretting by now for creating an animal with so much brain, that it has now become a threat to others not only on land, but also in water, in space, everywhere possible and not possible. Guess, Earth would have been missing Dinosaurs! We are definitely, dangerous than them! 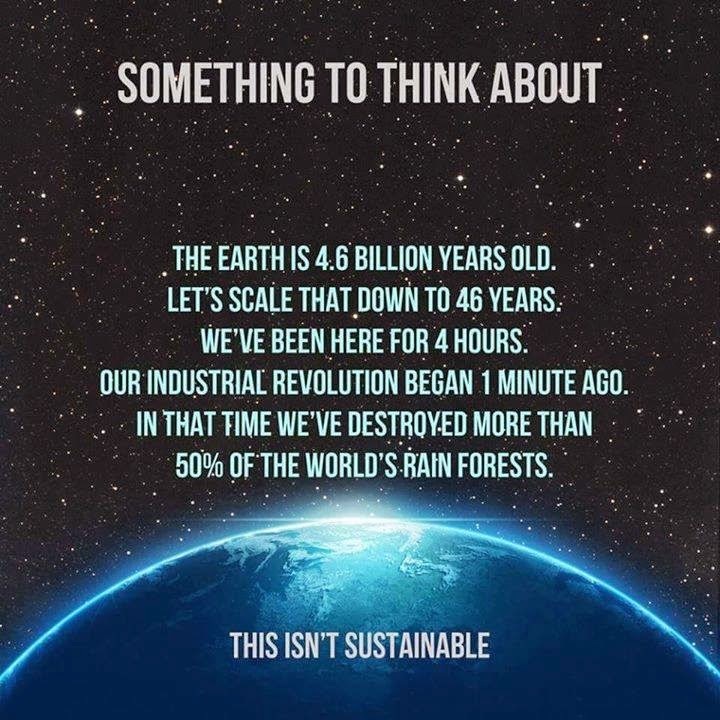 Do we even realise what we are doing and what we have done to this planet! Will we ever be able to revert back all this that we have destroyed and are adamant to do that further, not just to us, but all... We gave nothing back to this planet, but pollution and death. We have destroyed it to the extent that never ever earth would be able to support any other life, after us! And it is amusing to see hoardings, posters, ads of 'Save Planet Earth'. Who are we, mere human beings to save this massive planet, that gave us life and is supporting us? Who are we to save it? Nothing! The day earth gets fed up of us and our ways, I am sure that day it will give us back all that we have done to it. Till then, we are free to kill it further. We, yes we... are the deadly living sinners! I feel, though all that is written is true, this is a one sided perspective of things. We are damaging the earth, but at the same time, we are trying to correct it as well. Green Tech, for example, is one way in which we can replace plastics and oil. As people become more aware of the damage they are causing, and suffer partial repercussions, they'll definitely mend their ways. The world is looking for inspiration to change, maybe you can be that inspiration!